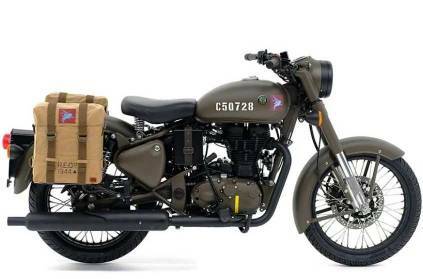 The sale of Royal Enfield Classic 500 Pegasus Edition has been indefinitely delayed after the company’s website crashed due to the overwhelming response. Customers needed to book online for the Pegasus Edition, just 250 units in India, on the first-come-first-serve basis on July 10, 2018, at 2 pm. After the site went unresponsive, Royal Enfield took to Twitter to announce the delay in launch due to “unanticipated technical difficulties.” the company also said that a revised date for the sale will be announced shortly. The Royal Enfield Classic 500 Pegasus sports 499 cc single-cylinder engine with 27.2 bhp and 41.3 Nm of peak torque, mated with a 5-speed gearbox. The Royal Enfield Classic 500 Pegasus Edition motorcycle was announced at an on-road price of Rs 2.40 lakh in Delhi. The makeovers include the service brown colour scheme, brown handlebar grips, Pegasus emblem with a stencilled number on the fuel tank.